What are triglycerides? In a nutshell, they're a type of fat found in your blood. Too much of this type of fat that can raise the risk of coronary artery disease. 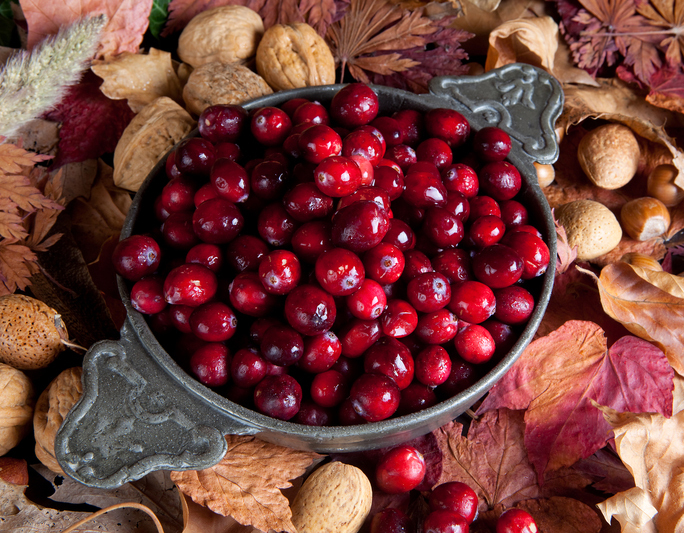 Speaking of nutshells... diet is an important factor in keeping your triglycerides in check, and nuts and cranberries are among foods that can help. Triglycerides are important to our bodies. They’re composed of glycerol and three fatty acids, hence the name “triglycerides.” In your body, they combine with blood proteins to form lipoproteins. The liver then sends those lipoproteins (the cholesterols LDL and HDL are lipoproteins) out to transport fats to other tissues to be used for energy. So, the answer to “what are triglycerides?” is simple: They’re an energy source our body needs. The “what are triglycerides” question usually arises when you get your cholesterol test results, which collectively are called a “lipid panel,” or lipid profile. Lipids are fats and fat-like substances that are insoluble in water. Although both cholesterol and triglycerides are lipids, only triglycerides are fats. Cholesterol (LDL, HDL) is a sterol, which is a waxy lipid, a fat-like substance. Cholesterol is important to metabolism, to cell regeneration, and as a precursor to several major hormones, including androgens and estrogens. Cholesterol is found in foods, like animal tissues and egg yolks. It is also made in the liver. In fact, you don’t have to consume any dietary cholesterol; your liver will naturally pick up the slack. Triglycerides will form from almost any food we eat. Triglycerides are the most common fat in the body. We want, of course, a normal triglyceride level. But people with high cholesterol (LDL) usually have high triglycerides, and those who eat a high percentage of carbohydrates and/or fats will usually have high triglycerides. Eating fewer foods that contain cholesterol may help lower your body’s cholesterol levels (that’s actually a source of debate in the medical world, but suffice to say that no one will ever tell you eating fewer cholesterol-containing foods is bad). But the only way to reduce triglycerides is to eat less. That’s because anything you eat—except fiber and water—is converted by your body into triglycerides for energy. CALORIE COUNTING: CAN IT HELP MANAGE BODY MASS INDEX? There’s a useful online calorie calculator at calculator.net that can help you manage your daily intake—and address your BMI (Body Mass Index). For instance, if you’re a 50-year-old woman, 5 feet 4 inches tall, weighing 150 pounds, your BMI would be 25.7, which is considered overweight. Assuming you’re lightly active, exercising one to three times a week, you’re eating 1,767 calories per day to maintain that weight. If you want to go to a normal BMI of 145 pounds or less, you can lose a pound a week by cutting your daily calorie consumption to 1,267 calories. Up your exercise to very active (6 to 7 hard exercise sessions per week), and you’ll maintain your weight at 2,217 calories per day. Keep exercising, and you can cut back to 1,717 and lose a pound a week. Of course, the more fats we consume, the more calories we consume, and the more triglycerides we will have. But hold on before you reach for that fat-free muffin. Carbohydrates are a big problem with triglycerides levels, too. Carbs, which are sugars, will cause blood triglyceride levels to rise quickly because your ever over-achieving liver actually converts the carbs to triglycerides for energy. High triglyceride levels also can be caused by some hormone-replacement therapies, including birth-control pills, beta-blockers, and diuretics. You should discuss these medications with your physician to weigh the benefits vs. the risks. Sometimes called “neutral fats,” excess triglycerides tend to pack on visceral fat—deep fat in the abdomen—that is resistant to insulin. And, of course, resistance to insulin sets the stage for full-blown diabetes. At least one study has shown that elevated triglycerides levels actually cause—not just contribute to—cardiovascular disease. They are significantly associated with cardiovascular deaths, damage to the heart, and heart attacks. Excess triglycerides party with plaque to clog the arteries, leading to atherosclerosis. 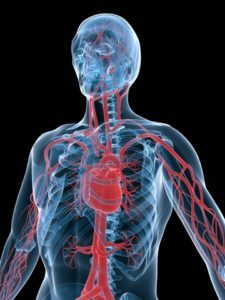 High triglycerides can be responsible for chest pain, fatigue with exertion, leg pain when walking–all indicators of poor heart health. The most important way to decrease your triglycerides levels is to eat only what your body needs–or less, as the case may be for most of us. You need to lose weight, if you’re heavy. Obesity is a cause of high triglycerides. Stop eating carbohydrates in excess. Starchy foods will raise your triglycerides levels. Look at the Mediterranean diet plan as a way to reduce triglycerides. Foods like nuts and cranberries can help. Eat more fiber. Increase your intake of beans, oatmeal, apples, bananas, green vegetables, and pears. Try psyllium-fiber supplements, as psyllium can help reduce triglyceride levels, curb your appetite, and stabilize glucose levels, so won’t crave carbs. Add in omega-3 fatty acids: fish, walnuts, flaxseeds, or fish oil. Stop smoking, and reduce your consumption of alcohol, both of which can contribute to high triglycerides. There is no quick fix for elevated triglycerides; diet with exercise is as close to a magic potion as you can get. The two pills available are not well received (niacin and fibrates), but you can discuss these options with your physician. Some studies point to a genetic risk for high triglycerides; even so, your lifestyle—a sensible diet and energetic exercise—can keep your levels within your control. add, alcohol, appetite, atherosclerosis, beta blockers, birth control, bmi, body mass index, calories, cancer, cardiovascular, cardiovascular disease, cause of high triglycerides, chest pain, cholesterol, cholesterol levels, cholesterol test, dangers, dementia, diabetes, diet, exercise, fiber, fibrates, fish oil, food, glucose, glucose levels, hdl, health, health news, heart attacks, heart disease, heart health, high cholesterol, high triglyceride, high triglycerides, hormone, how to lower triglycerides, insulin, ldl, leg pain, lipid profile, Lose Weight, lower triglycerides, lower triglycerides naturally, mediterranean diet, mediterranean diet plan, metabolism, niacin, nutrients, nuts, obesity, omega 3, omega 3 fatty acids, pain, reduce triglycerides, reduce triglycerides naturally, smoking, supplements, the mediterranean diet, to reduce triglycerides naturally, triglyceride, triglyceride 2, triglyceride levels, Triglycerides, triglycerides diet, triglycerides foods, triglycerides levels, triglycerides range, university health news, vegetables, walnuts, what are triglycerides, what causes high triglycerides. can I subscribe to a hard copy of University Health News? I am interested in subscribing to University Health News hard copy. I thought you might be interested in this article on https://universityhealthnews.com: What Are Triglycerides? And How Do We Keep Our Levels in Check?